SQL Server developers can use SQL CLR function to create random number as random generation. This SQL CLR tutorial shows how to create a CLR project using Visual Studio. SQL tutorial continues with assembly registration and user defined function creation. 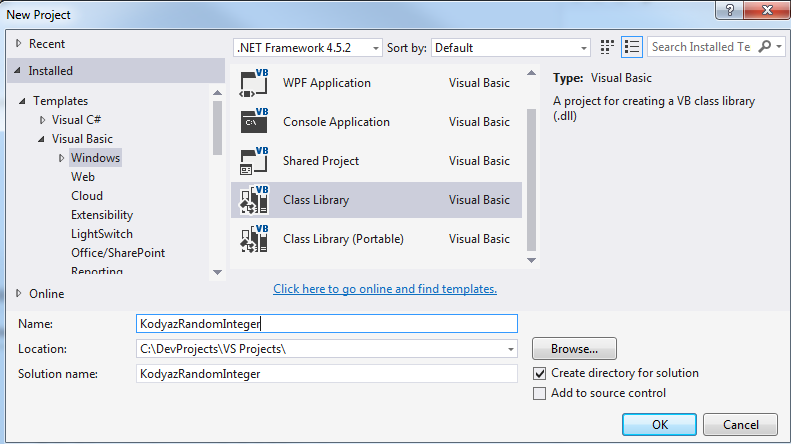 Launch Visual Studio 2015 or your installed Visual Studio IDE tool. 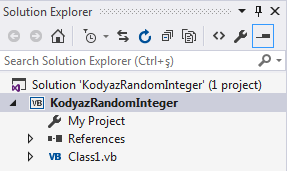 When you first create the CLR class library project, following structure can be viewed for CLR project in Visual Studio Solution Explorer window. Compile the project using Visual Studio menu options Build > Rebuild Solution or using key combination Ctrl+Shift+B if you are building the class library solution for the first time. Please note that it is best practice to build the latest project code in release mode instead of deploying the final solution to production in debug mode. In Output window, build results are displayed as seen in below screenshot. Go to path where dll file is located. Copy the dll file and paste it into a secure folder where you have permissions to read from and safe to keep the dll file for backup. Now launch SQL Server Management Studio and switch to database which you want to create your SQL CLR random function. 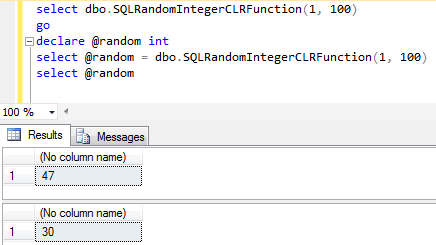 Here is how SQL developers can call SQL Server CLR function for random integer generation.